Andrew Kirk imaged this corona in November '07. The rings are non circular indicating a change in droplet size across the cloud. 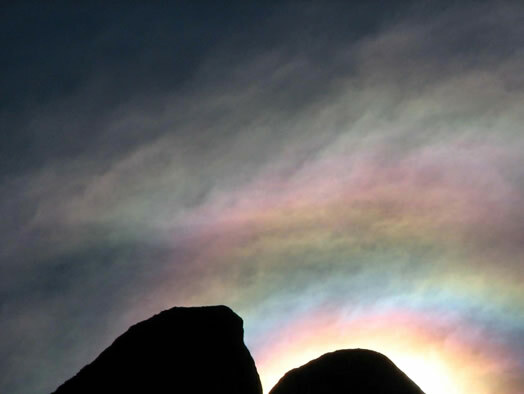 As the droplet size becomes more variable the colours become more chaotic and we have instead an iridescent cloud. ©Andrew Kirk, shown with permission.